Many small businesses believe that mobile apps are for large companies because they’re too expensive, not worth the investment and they don’t need one. I’m going to correct this misguided concept and explain why your business needs a mobile app, as soon as possible. Statistics have proven that Americans spend an average of 2 – 5 hours on their mobile devices every day. And most of that time is spent on mobile apps. 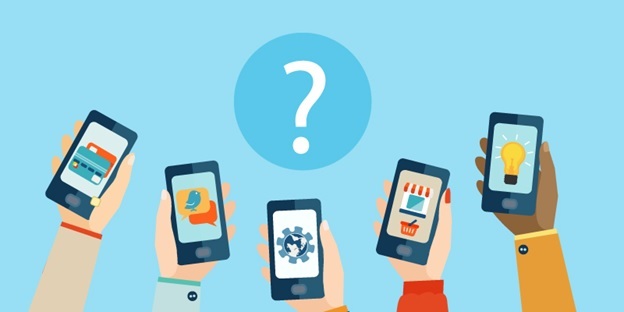 You may think a mobile app isn’t important now even though most of your business operations are done on mobile apps! You got online banking apps for money transfers, Amazon or other shopping apps for inventory, check emails with the Gmail app, and conduct meetings using Skype. Even if you aren’t working, you’re using apps every day whether it’s texting on WhatsApp, scrolling through Facebook, or secretly stalking people on Instagram. So even with a mobile-friendly website, the more significant percentage of online consumers are using mobile apps. Not convinced? 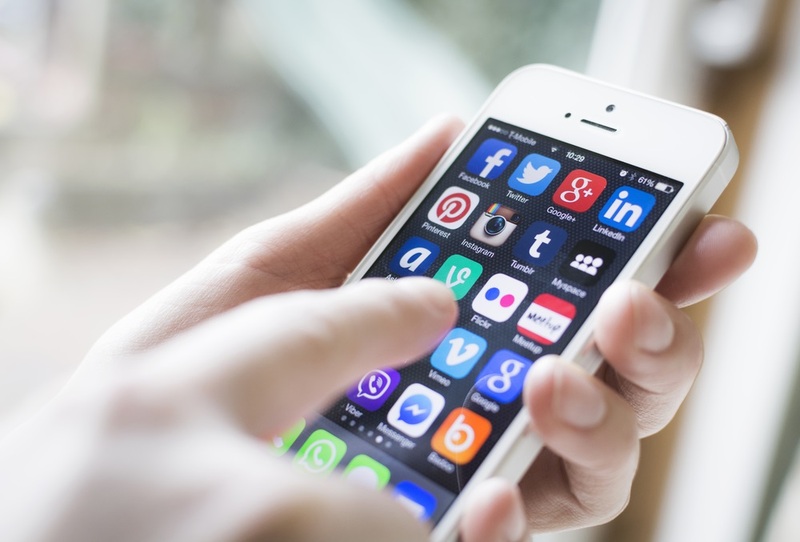 Here are ten reasons why your business needs a mobile app. A mobile app is another platform to market and promotes your products or services, how can that be bad? A golden marketing tool, used by many brick and mortar stores is the loyalty program. You may already have this going for your business, but it’s time to bring it online. Encourage your customers to engage with your app by offering special discounts to online users, or reward points with online purchases. This will increase your customer loyalty, and they’d want to do business with just you. This point is also a great addition to your marketing strategy, push notifications mean you can keep your customers up-to-date with all your latest products and promote your offers. You can send notifications for upcoming events, urge customers to get back to your app or go to your store. This is a great way to send a message to your customers, reminding them to go shop your products or check out your services. Research shows that 60% of mobile users have their push notifications open and 40% open the app afterward. One of the biggest fears that stop small business owners from developing an app is them believing the development cost will be too high and exceed their budget and the revenue wouldn’t cover the cost. However, mobile app sales have surpassed mobile website sales by the end of last year! Offering customers an easy way to go through the products and multiple payment options (PayPal, Apple Pay, Samsung Pay…etc.) is faster than needing to go to a store or struggle with the website. Another way to monetize your app is by having in-app ads or having a paid, premium account option with special features or offers. You may think that having a mobile-friendly website is good, but why settle for good when you can have the best? For customers to enjoy dealing with your business online, you need to present them with excellent user experience. Mobile websites take forever to launch and searching for products or navigation is never an easy task. A mobile app is designed specifically for mobile users to better interact with your business. An app offers a smooth, slick interface with a friendly UI design and most importantly, easy navigation. Your customers will be able to choose and pay faster than before. And you can have it developed with an offline feature so they won’t necessarily need the internet to check out your app, making it that much easier. Besides providing excellent user experience to prompt traffic on your app, visibility of your app itself will increase customer engagement. Your products and services will be visible on their phones at all times, offering easy access to your business whenever needed. This is a newer and smoother communication channel to stay connected with your customers. Statistics show that the total time mobile users spend online (iOS and Android users), 86% of it is on mobile apps (gaming, shopping, messaging apps) while only 14% is on browsers. Your customers want to reach out to you through an app; they’re just waiting for you to make one. Developing a messaging feature on the app will definitely urge them to reach out to you and engage more with your business. A mobile app is a perfect way to gather data about and from your customers! For starters, you can have an email/ social media login feature when they need to log into your app and use the email addresses to send newsletters or emails, enhancing your marketing strategy. Or you can develop a review/ rating feature and be up-to-date with all customer feedback. Keep track of purchases and searches to find out what are best sellers and what’s your customers’ demand. Take that info and put it towards improving your products/ services and developing new products. Your mobile app represents your business, you need to utilize this platform to boost your brand and gain recognition in the market. Having your app icon visible on your customers’ screens is a good enough start to get your brand out there. Not only will your customers use it, but with the increase in sales, you’ll build a reputation for yourself and so the downloads will increase too. Having a well-known brand is the first step to your business growth and getting you to a global scale, which brings us to the next reason. When you have set a loyal, local customer base and boosted your brand name, you will start to consider taking your business globally. It will make sense to do so, your business is growing and so should your customer base. A mobile app is your gateway to the world; it gives you potential and a more natural way to communicate with a bigger audience. Give your business a strong online presence and expand it to a higher level. Take Amazon for example; even though most of the products are in the US, they still have great retail websites in France, Germany, Dubai, and many other countries. Nothing good comes easy. It will take a good amount of developing, designing, and marketing to get your app to success. However, when you do set an active customer base, have a clear marketing strategy, and an increase in revenue, your mobile app will become your number one business channel. It will be the primary channel your customers contact you through because of its ease and convenience. And so, eventually, it will be your business’s most important aspect after merely being a decision you were hesitant to take. As mentioned in the beginning, a lot of small businesses tend to steer clear from developing mobile apps because they believe it is more suited for bigger companies. However, recently small companies are starting to catch up on this trend and notice the possible success rate. It is always good to have leverage on your competitors; some of them are already building their app as you ponder the idea! A mobile app will set you apart from the amateur’s and take your business to the next level. So take the lead, don’t wait, and do what’s best for your business. Now that we’ve established the main reasons your business needs a mobile app, how do you get started? First off, you probably need to start imagining your business’s app (its features, app type, design…etc.) and then you need to set a budget. You can request a free quote today from app development experts to get an estimate for your mobile app. They will give you a detailed proposal of how long it’ll take and the estimated cost of your app, answering all your questions. 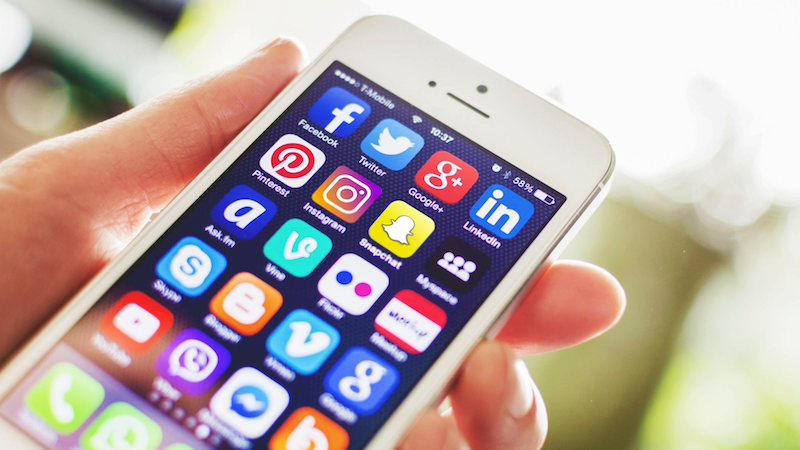 A mobile app is a next step for your business, so don’t wait for sales to blossom and take matters into your own hands by giving your customers what they need.